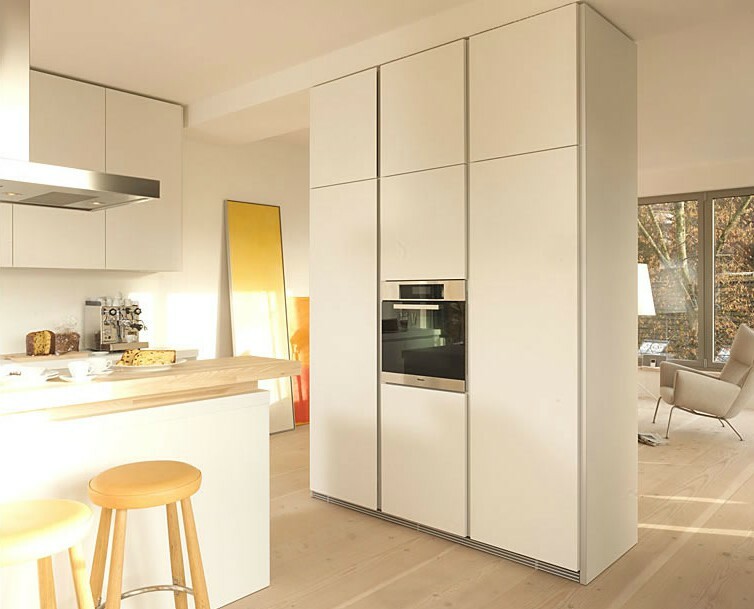 The interesting projects involving loft apartments in a rural setting make full use of the concept of “open living.” This residential complex is particularly popular with young couples. Tenants are attracted by the lower rents and the quietness of the countryside, since most of the couples are professionals and travel often for their jobs. When at home, they like to cook and entertain friends. 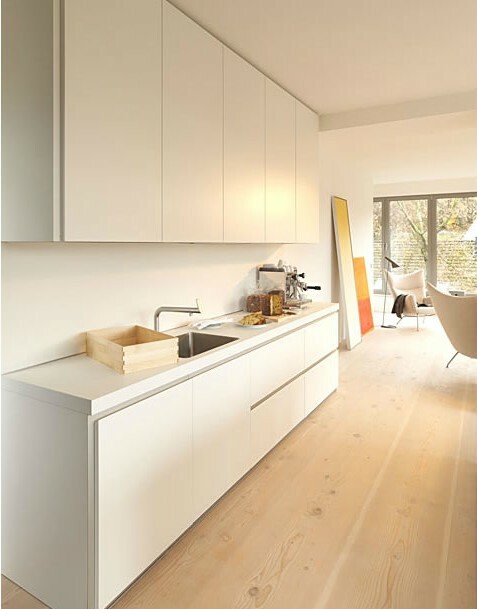 The apartment featured here was equipped with bulthaup b1 in puristic alpine white. 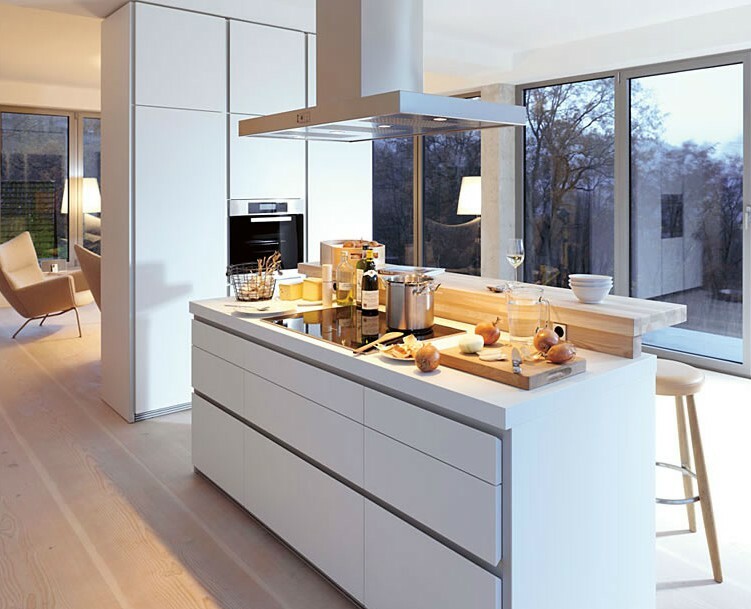 The kitchen island, enhanced with a solid wooden ash bartop looks like a sculpture in the room. The ceiling-high units also serve as room dividers.